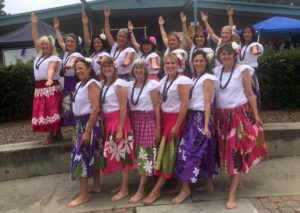 There are over 24 active dancers in Nā Wāhine ‘O Kalani. Our ages range from 30’s to 70’s. We came together for our common love of Hawaii and to share our aloha. 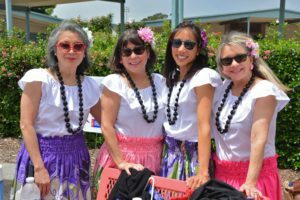 We had previously performed under the name of Hapa Mahina Hula.